Our work hours are 8am to Midnight CET, 7 days of the week! Our Boosters work 24/7! When all you want to do is raid with your friends, or to have a gaming experience that is actually challenging and fun, why should you have to go through days of mindless grinding to level-up and gear-up? Well with us, you don’t have to! 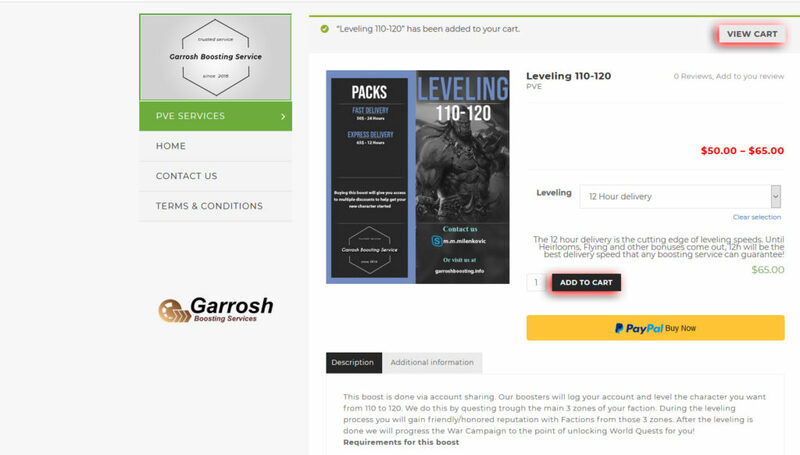 That is the idea upon Garrosh Boosting was founded upon. We are here to make the game more entertaining for our clients by taking the boring parts out. 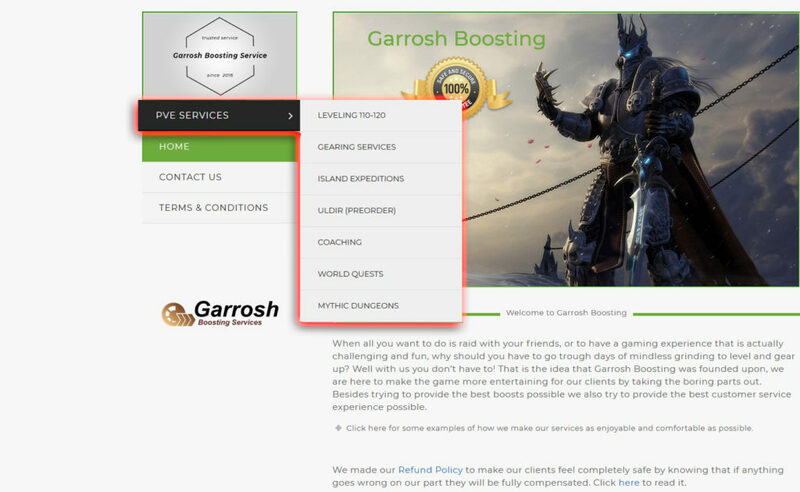 We do our best to provide quality WoW boosts, and as our reviews suggest we’re doing our job pretty good! Click here for some examples of how we make our services as enjoyable and comfortable as possible. Our customer representatives are always available during our work hours, 8.00am to Midnight CEST. If you message us during that time you will always get a fast response. We provide a method of tracking the boost progress so that you can know how it’s going at any time. Our boosters are professionals who have regular work hours. This allows us to make work schedules for our boosters so that you can keep playing during the boost. Most importantly we give our clients a peace of mind, letting them know their accounts are safe with us based on our impeccable history. You can check it yourself on our TrustPilot and on our Epicnpc. Just click on the names to get redirected. We made our Refund Policy to make our clients feel completely safe by knowing that if anything goes wrong on our part they will be fully compensated. Click here to read it. How do I order a WoW boost? There are two ways, through the website and through our Customer Representatives. 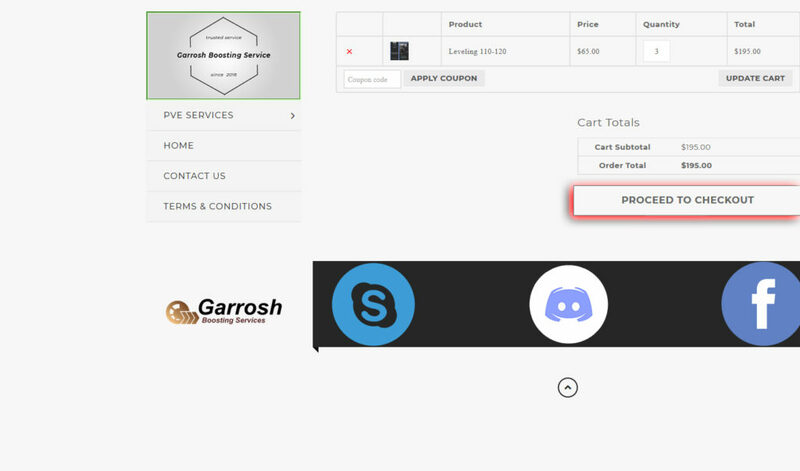 Our Customer Representatives can be contacted via Skype, Discord and Facebook. If ordering through the website simply follow the steps below, you can click on the image for a visual guide! 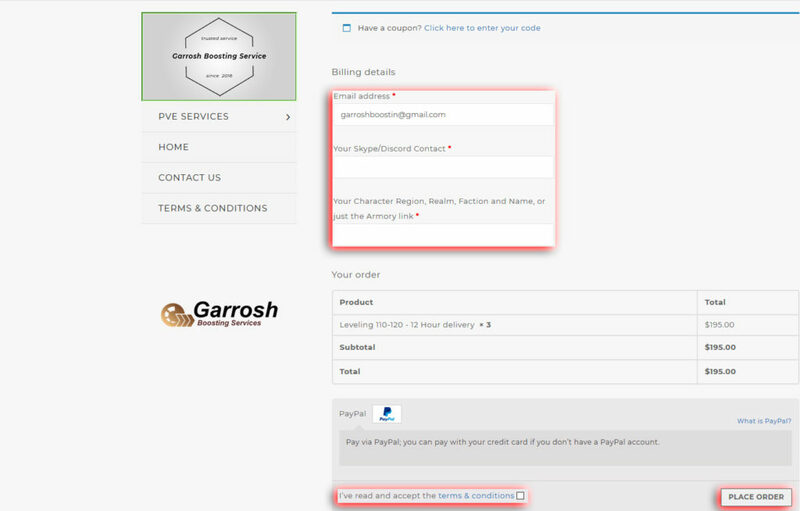 If you didn’t contact us already, we will contact you with the information that you provided in the checkout section. 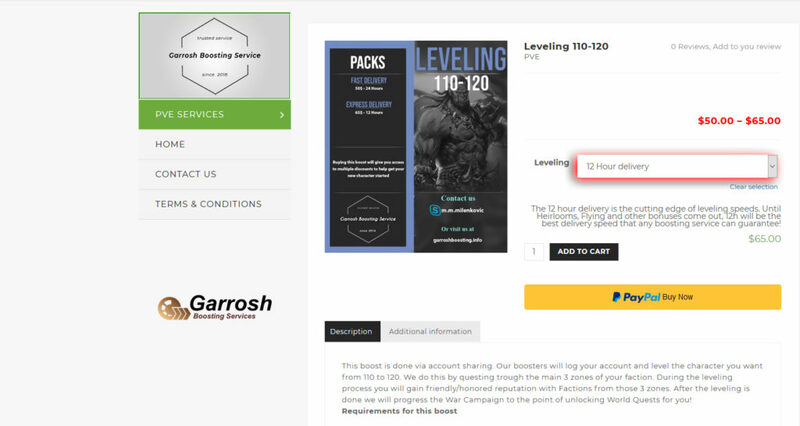 After that we set up the order by taking the info that we need and finding the first available booster to service your account. I can't find something I'm looking for, do you do custom orders? We can do almost anything WoW related, farming old mounts, rep, raids etc. There are just too many things in WoW to list, so instead of ordering through the website, for those services you need to contact us directly. How is your price for X so much lower than the competition? We manage to keep our prices very competitive because of our professional business model. The way we construct pricing for all of our services is very simple. We estimate the amount of time the service takes, agree on a fair hourly wage with our boosters and add a 20-30% fee for us. What this means is that we can charge you less while still paying the booster more and making everyone happier! The way we protect your account from being flagged for violating “Terms of Service” and potentially being suspended is by using the best VPN available. A VPN (Virtual Proxy Network) allows us to connect to a server near your location before connecting to the game. This in turn means that you’re very unlikely to get flagged for account sharing, since the game thinks that you’re logging from a location near your usual one, instead from half the world away. We only work with people we completely trust. The main requirement for new boosters is that they have someone who already works for us that can vouch for them. What this means is that unlike our competition, we don’t outsource our work and trust 3rd party companies with our client’s information. This resulted in us having a spotless record, which you can check for yourself on our TrustPilot, Epicnpc and Ownedcore profiles.